is nature’s most beautiful gift. “JOY” is a work that I entered in the Sacred Threads 2015 show. It was accepted both for the main show in Herndon, VA and for the following traveling exhibit. For the past 18 months, it has been traveling to different venues across the US. About a week ago, I received word that the traveling exhibit would be featured at the Texas Quilt Museum this winter and that “JOY” had been selected as one of the quilts on display. Last night I learned that “JOY” was featured in the Texas Quilt Museum newsletter announcing their exhibits opening in January. 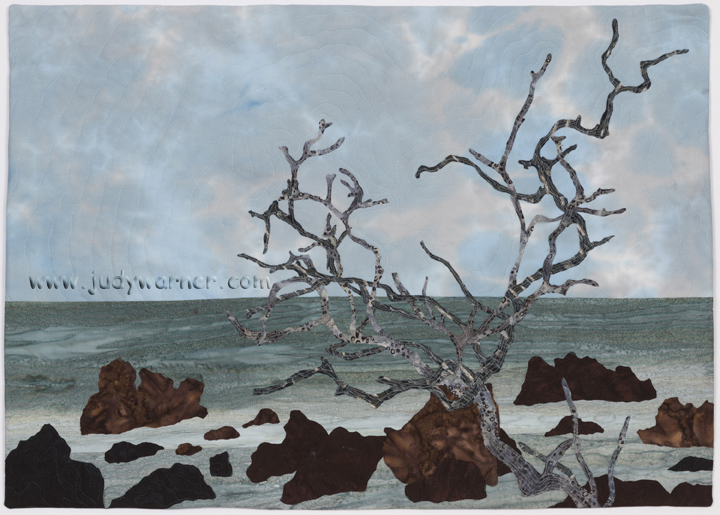 I am delighted that so many people are getting to enjoy my art quilt. 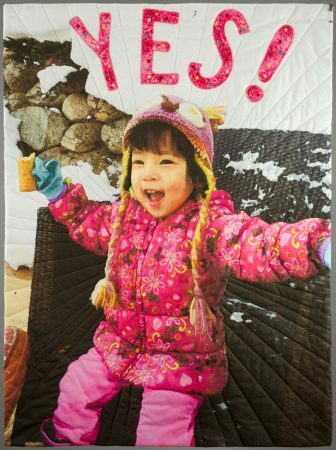 The photo behind the quilt was taken on a ski trip to Aspen Colorado where my granddaughter had one of her first experiences of snow. Her enthusiasm is absolutely infectious and I could not resist sharing her true expression of joy through an art quilt. I am truly honored to have my art quilt as part of the Sacred Threads exhibit. The bi-annual exhibit is a forum for fiber artists to share their works and stories on themes of Joy, Spirituality, Inspiration, Grief, Healing and Peace/Brotherhood. The exhibit is accompanied by audio recordings of the artists explaining their motivations behind their works. The combination of visual and audio create a powerful experience for the observer. You can learn more about Sacred Threads at this link. 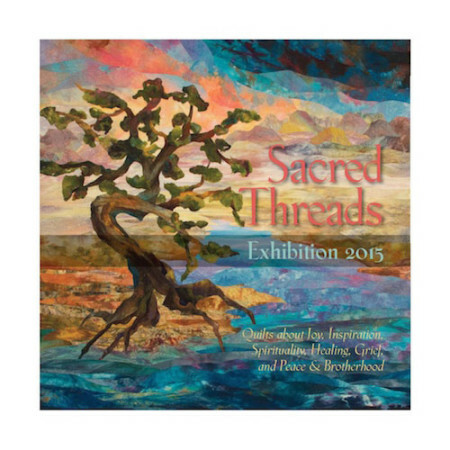 The next main exhibit, Sacred Threads 2017, will be in July in Herndon, VA.